Colin Carr appears throughout the world as a soloist, chamber musician, recording artist, and teacher. He has played with major orchestras worldwide, including the Royal Concertgebouw Orchestra, The Philharmonia, Royal Philharmonic, BBC Symphony, the orchestras of Chicago, Los Angeles, Washington, Philadelphia, Montréal and all the major orchestras of Australia and New Zealand. Conductors with whom he has worked include Rattle, Gergiev, Dutoit, Elder, Skrowasczewski and Marriner. He has been a regular guest at the BBC Proms and has twice toured Australia. 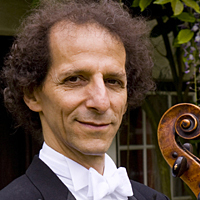 Cellist Colin Carr returns to the Manitoba Chamber Orchestra for a concert of Shostakovich’s Cello Concerto No. 1 in E-flat major, Op. 107, and works by Vaughan Williams and Leoš Janáček on September 12th. Says Mr. Carr, "It’s nice to build a relationship with any orchestra, but this one really holds a special place in my affection. It’s also so nice to develop personal friendships with some of the members of the orchestra with whom I stay in touch". "Carr immediately got down to the matter at hand, tackling the opening Allegretto movement as though all his tomorrows depended on it. His unflinching commitment to the four-movement work grounded in technical bravura ensured the first section had all the power and forward thrust of a runaway train driven by its own sharp-edged "DSCH" motif... 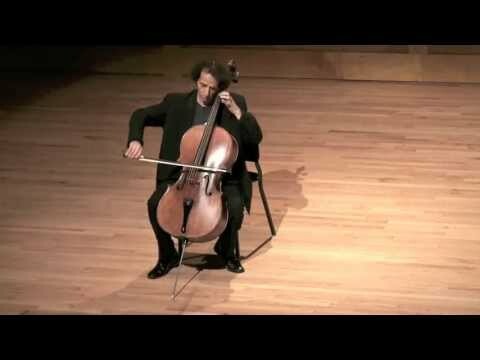 The subsequent Moderato allowed his soulful expressiveness to rise like cream to the top, including long-spun phrasing and burnished tones until the final, magical section in which the cello’s glassy harmonics seemed to dance with the celeste creating a delicate web of sound." Captured in minimally edited, electrically charged performances in the sparkling acoustics of Jordan Hall at the New England Conservatory of Music, Carr achieves that rare balance between personal "interpretation" and scrupulous consideration of the score that epitomizes musical performance at its loftiest. Whether it is in the driving -- at times cutting -- hell-bent energy of these interpretations, profoundly moving and gentle effusions or in Colin's exquisite taste and musical intelligence, these performances capture a truly extraordinary event.